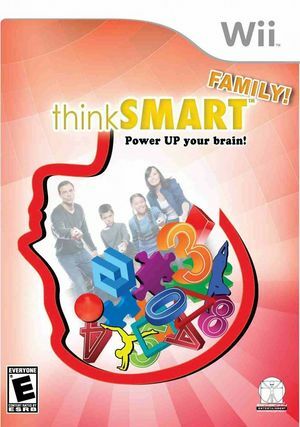 ThinkSMART Family! helps you develop language, memory, mathematics, spatial reasoning and logic skills in an imaginative and creative way. Think outside the box and improve your mental fitness! Train the coordination of the right and left hemispheres of your brain and improve your powers of imagination and logical thinking. An individual training plan tailored to your previous performance enables you to keep track of your progress. Throughout the game, useful tips help you to successfully master every challenge. The graph below charts the compatibility with ThinkSMART Family! since Dolphin's 2.0 release, listing revisions only where a compatibility change occurred.